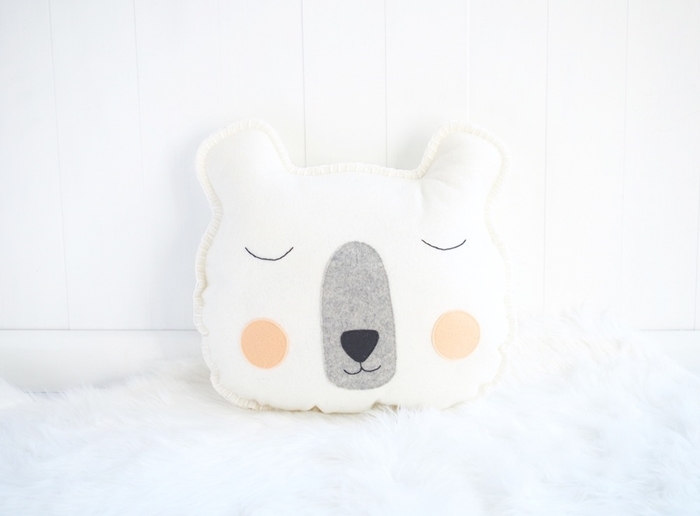 If you’re on the hunt for lovable cushions that will put a smile on your kid’s face, look no further. 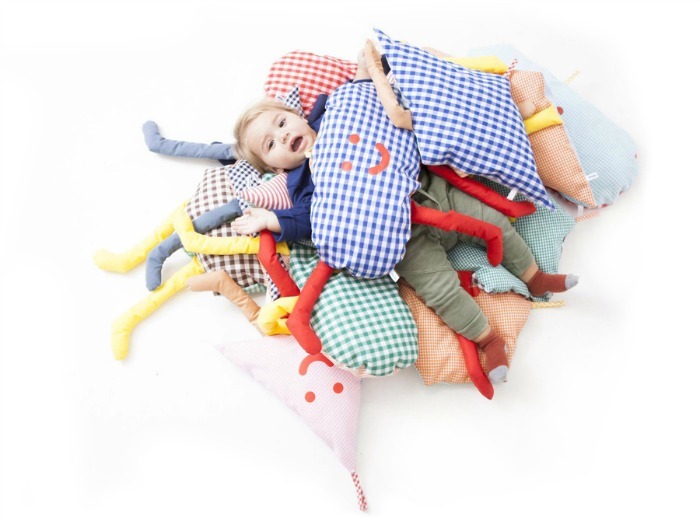 Today I show you a range of kids pillows and plush toys that you will love. 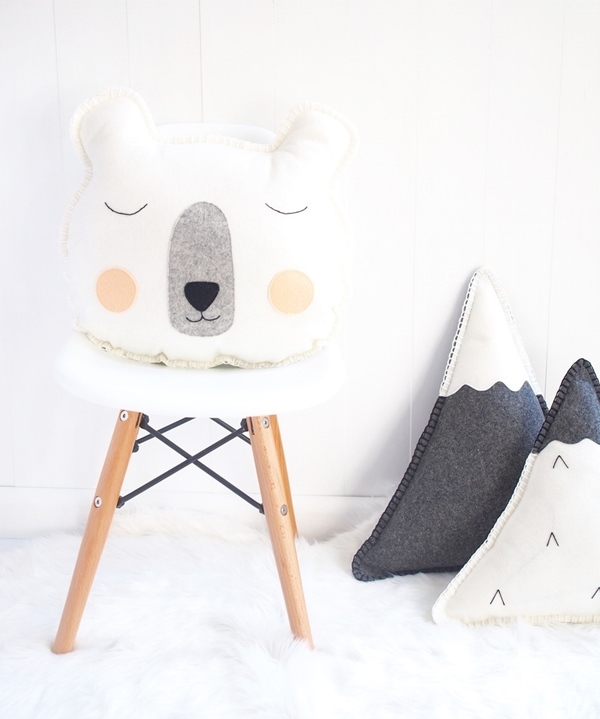 Boo & Bear is a small Australian company that creates handmade gifts, nursery and children’s room decor and toys. I especially like the cushions and plush toys. 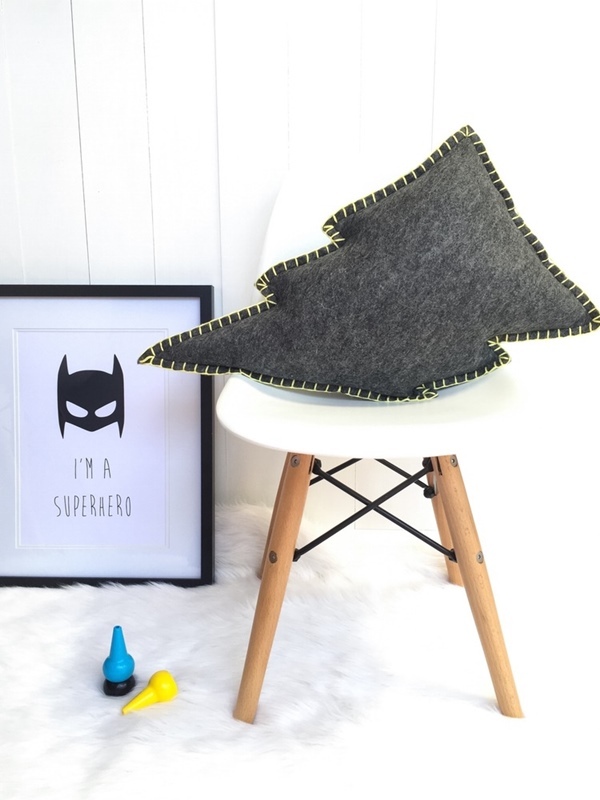 All its cushions are made from 100% merino wool felt and feature hand embroidered detailing. 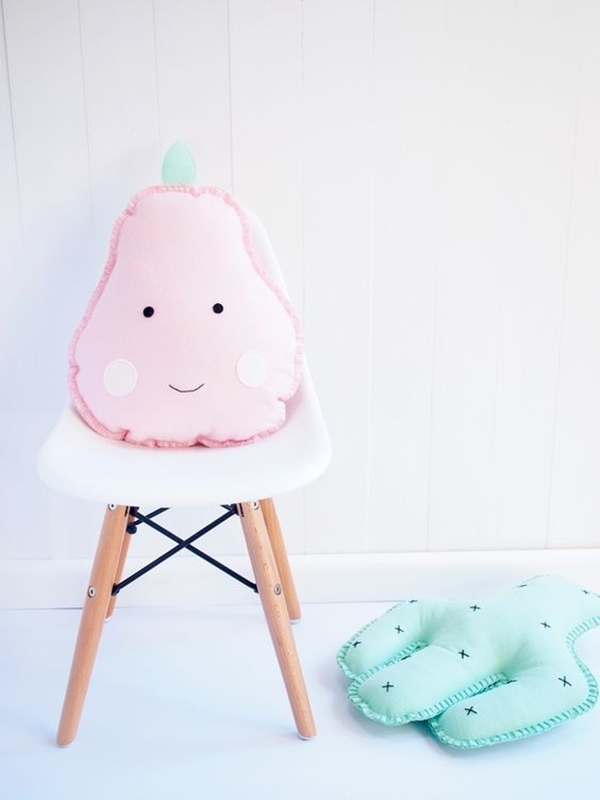 They are really soft, perfect for little ones to cuddle (and to add a little of style to the room). 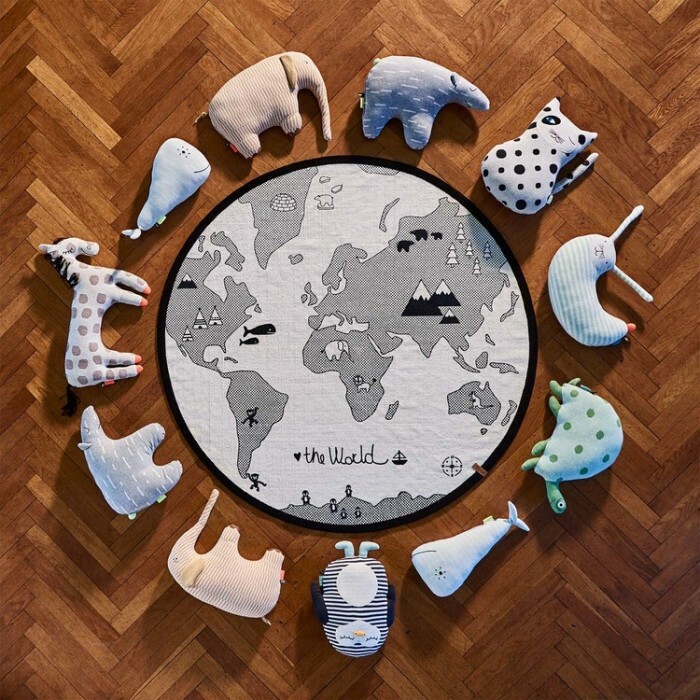 Awaken the imagination of your little dreamer with these adorable kids cushions! A vibrant pillow can transform an entire kids room’s decor. 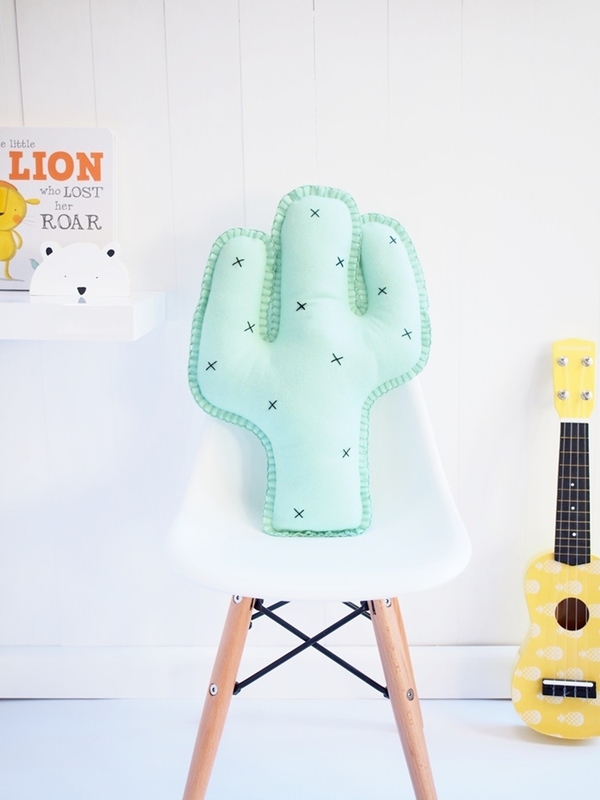 Here’re some cactus, pear, swan and guitar cushions in bright tones that will add a splash of colour and lots of fun to your child’s room. Kids will love them and so will adults. Who else loves a bit of monochrome? 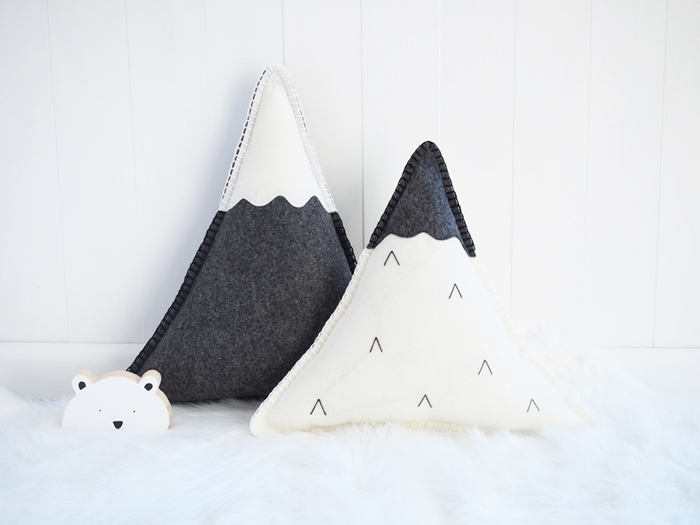 Have a look at the Sleepy Bear, Lightning and Mountain cushions, they are the perfect addition to a stylish black & white kids room. 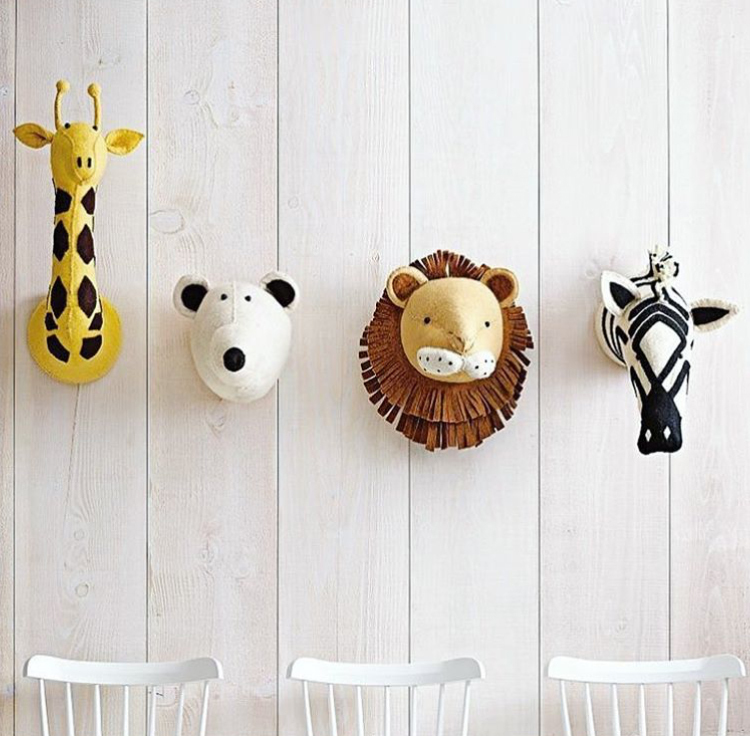 I think that they are ideal for decorating, but also for playing. 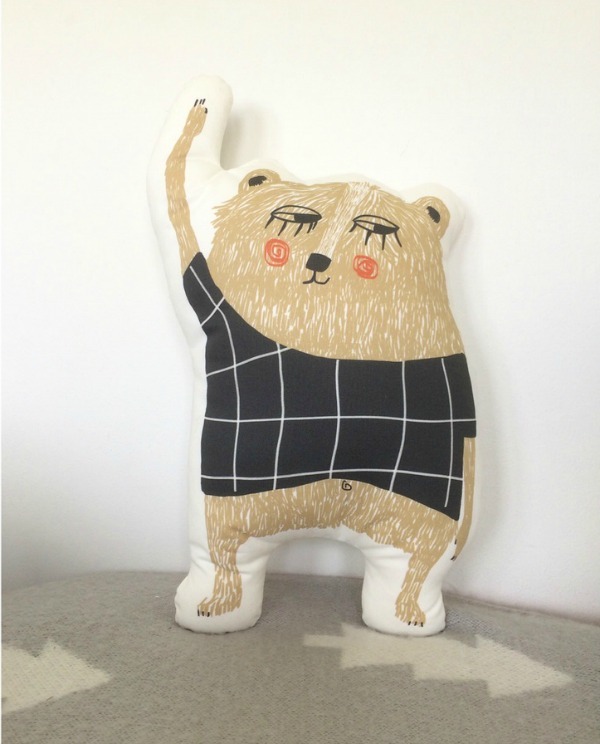 Boo & Bear also designs some handmade plush toys. 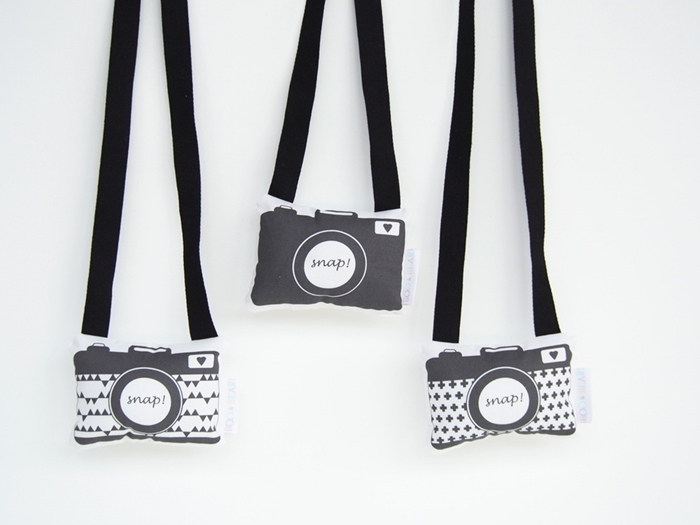 My favourite is these monochrome pixie cameras, perfect for little hands to hold and are great for imaginative play, indoors and out. These cameras come in a rattle version with a short hand strap (which also squeaks!) 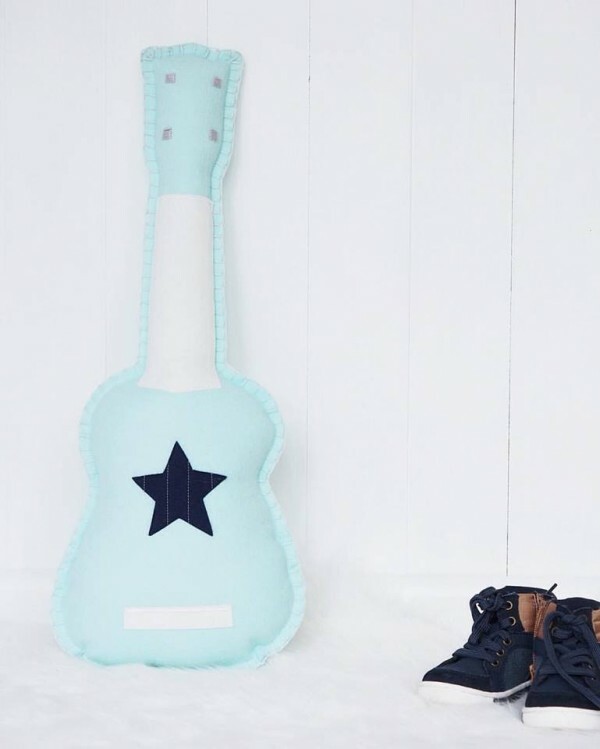 and a toddler version with a longer strap so your little one can carry it around with them on their daily adventures. Need more inspiration? 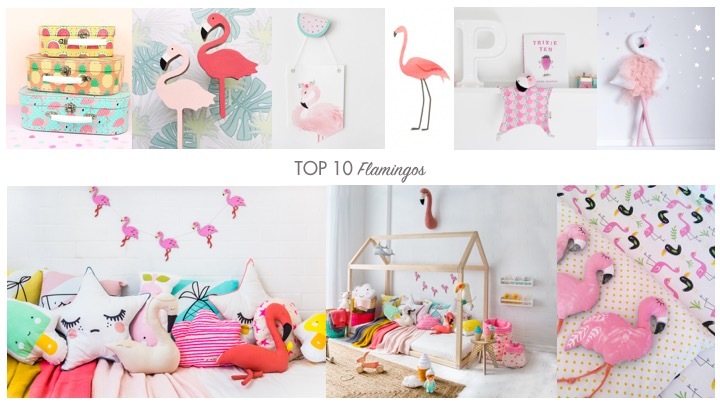 You will find lots of lovely kids pillows and cushions on our blog.